JMenu is excited to introduce ‘A Taste of Crown Heights’, benefiting Toys for Hospitalized Children, a division of the NCFJE. 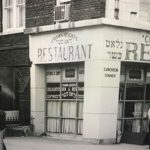 ‘A Taste of Crown Heights’ is a neighborhood kosher food crawl. This walkable trail on Kingston Avenue will feature local restaurants, beverage shops, and caterers. Over 20 local venues will be serving tastes of their signature dish or beverage and participants will be able to sample each vendor along the route. Attendees will enjoy a variety of food and drink, local vibes, and a great day out with family and friends! Participants will have the opportunity to rate each contender and determine the greatest ‘taste’ of Crown Heights for the ‘People’s Choice Awards’. In addition, there will be a panel of expert judges to judge in each category for the ‘Expert’s Choice Award’. 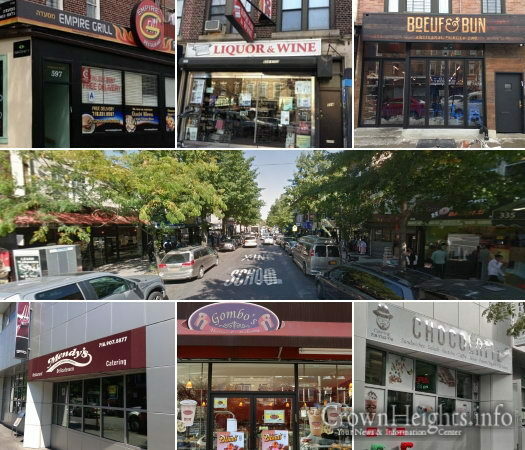 A Taste of Crown Heights is perfect for every community member, foodie, or kosher restaurant enthusiast, who wants to experience the authentic ‘taste’ of Crown Heights. Our panel of experts judges will include publisher Elan Kornblum of ‘Great Kosher Restaurants Magazine’, Kosher blogger Dani Klein of ’Yeah That’s Kosher’, and other experts from the kosher food industry. Food will be sponsored by each restaurant respectively. Drinks will be sponsored by Hal’s Seltzer. The event is being organized by JMenu. All proceeds from ticket sales are going to benefit Toys for Hospitalized Children, a division of NCFJE, an organization that helps our community day-in day-out. A Taste of Crown Heights will take place Sunday, October 22nd, 1-4 PM on Kingston Avenue. Tickets are on-sale now at www.JMenu.com/tasteofch. If you would like to have your business as a featured vendor or wish to participate by volunteering please email Shmuel@JMenu.com. Ticket sales will be capped at 250 tickets, so take advantage before they run out! JMenu is the fastest and most convenient way to order kosher food in Crown Heights, Manhattan and our coming locations. 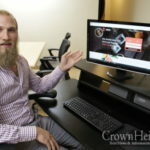 JMenu connects you with your favorite kosher restaurants, making it easier than ever to place your order. JMenu is your one-stop-shop, to order from any Crown Heights restaurant. No more waiting on hold or working your way through other websites. At JMenu, you can save all your info in in one place ordering from any restaurant a breeze. Download the JMenu app, choose your restaurant, add items from the menu to your JMenu cart, and checkout, hassle free. Toys For Hospitalized Children is an organization with a heart. Since our inception in 1953, we have distributed over 1 million toys and gifts in hospitals. We visited over 150 hospitals, institutions, and special needs facilities in over 10 states. Each year we distribute over 10,000 toys and gifts in children hospitals, institutions, special needs facilities. Each gift is accompanied by a visit and a smile from one of our caring volunteers. NCFJE or the National Committee for Furtherance of Jewish Education is a multi-faceted charity that protects, feeds and educates thousands throughout the NY metropolitan area and around the nation. The NCFJE, founded in 1940 by Rabbi Yosef Yitzchok Schneerson, is the first Chabad-Lubavitch outreach organization established in the US. The principal mission of NCFJE is to provide Jewish public school students with a free Jewish education through the Jewish Released Time program. Food Crawl. Crawling for food. Food for those who crawl. And event where yidden will crawl the streets of Crown Heights eating food. Just brainstorming a duch tzum Rebbe, here.